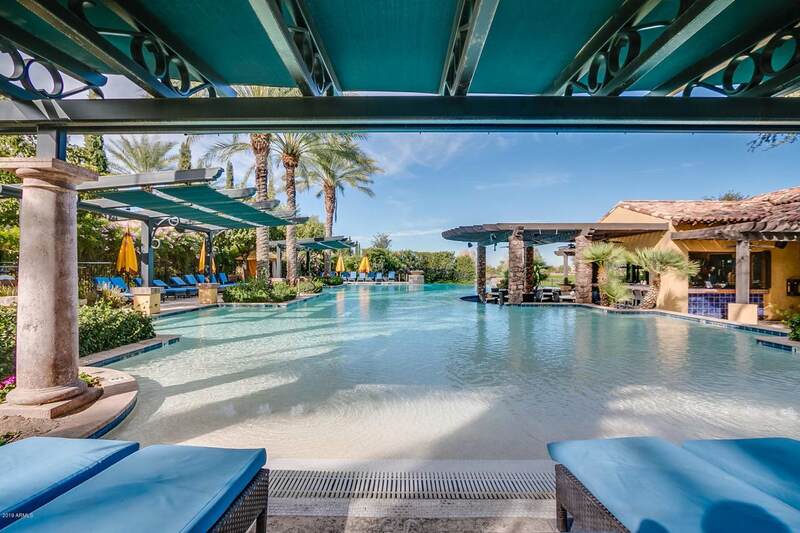 Prime location with short walking distance to the popular and desirable Algarve pool area, this gorgeous Monaco plan in the 55+ community at Encanterra is less than a year old and is pristine and perfect in every way! Enter the home past the stone courtyard, a perfect area to enjoy your morning coffee. Inside you'll find upgraded tile plank flooring. 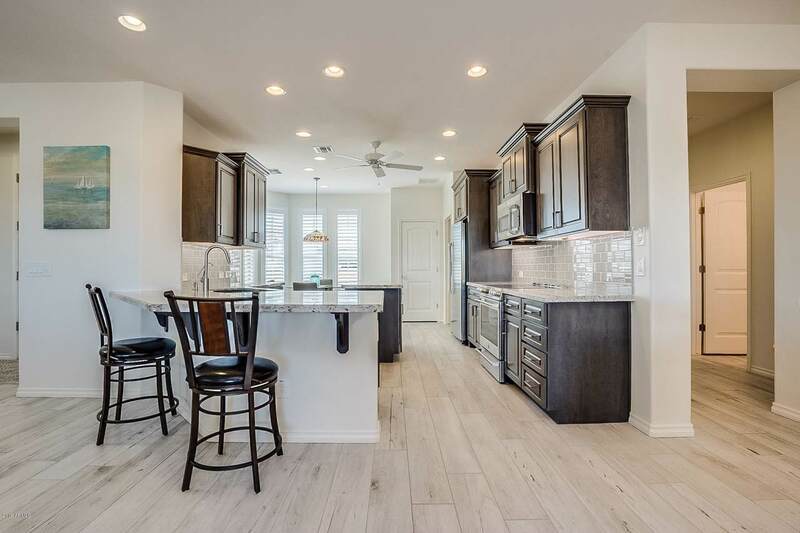 The kitchen is light and bright with beautiful staggered cabinetry, custom backsplash and stainless steel appliances. 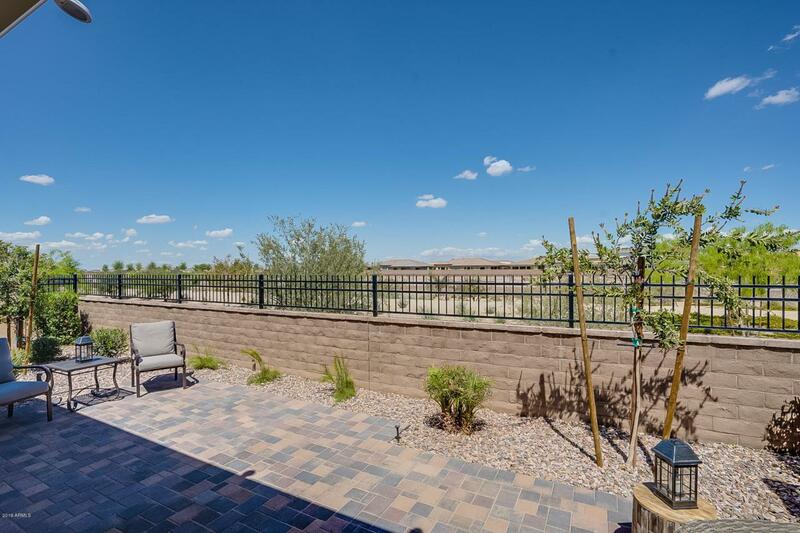 Step out back to a private oasis with stone pavers and privacy wall. The home is situated on an open space with no neighbors behind the home. The outdoor space is perfect for entertaining. 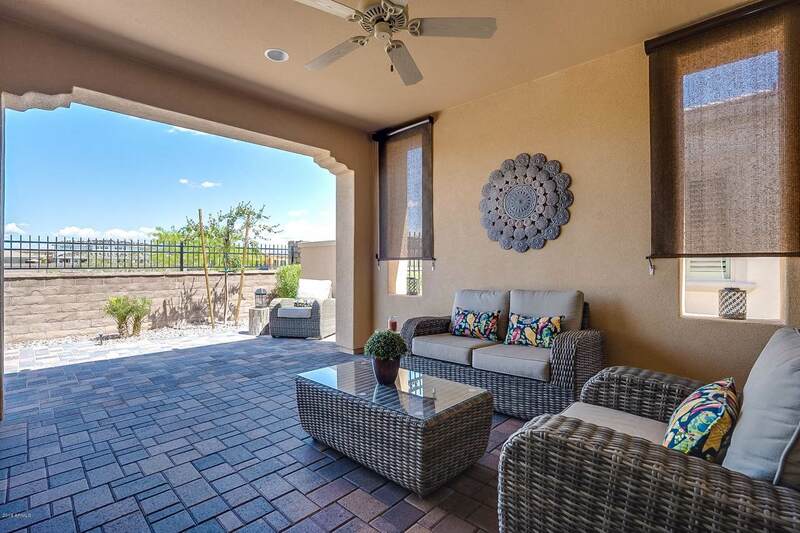 Start enjoying the Encanterra lifestyle today. Come see this home today!